All the latest 2014 windsurfing equipment will be unwrapped this spring at the Poole Windsurfing School. Each year we take delivery of brand new windsurfing equipment from Goya Windsurfing, RRD, Amex, Billabong and Pat Love. This year is no exception, with the latest 2014 windsurfing boards and sails from Goya Windsurfing & RRD being prepared for you. Learning to windsurf is a lot about having the right equipment and here at the Poole Windsurfing School we pride ourselves on having the latest windsurfing boards & windsurfing sails for our students. The Goya Surf is such a great beginners windsurfing board that can take every rider through the early stages of windsurfing and into learning the intermediate skills. 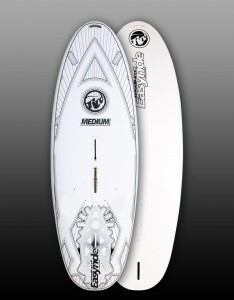 A balanced board for beginners that can also be turned into one of the most used boards in the quiver of advanced riders. Not to forget the Stand Up Paddle qualities of this wonderful platform. 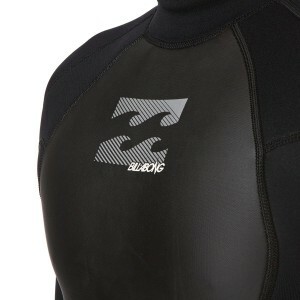 “The focus of the Surf is a stable, fun and predictable ride. All riders will immediately feel at home on the Surf. From kids to heavier riders, from family members learning to windsurf to stand up paddle pioneers, these boards offer a steady ride and are being used in clubs and centers around the world. I have been using these boards with my family and friends for years, these shapes have proven to deliver smiles over and over.” – Francisco Goya (Owner, Goya Windsurfing). A wide & short fin helps first time water starts in shallow sections while still maintaining enough fin area once you are planing. Additionally, the all new fully retractable Allgaier® dagger board brings the best of both worlds. 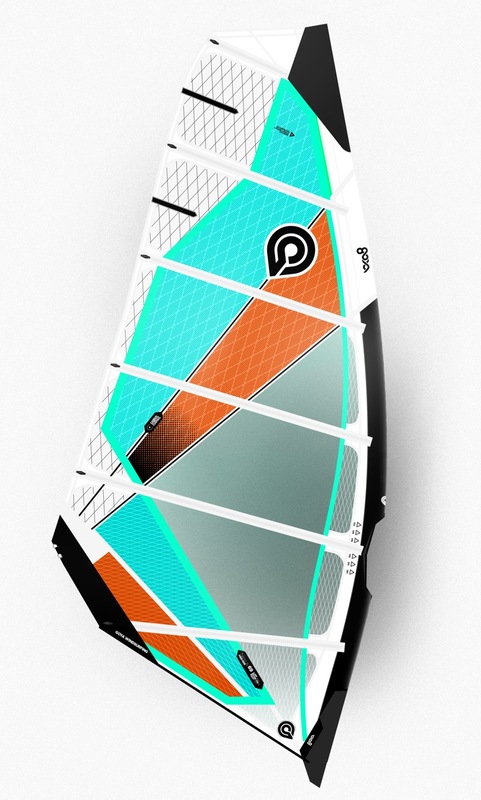 You can choose to either have it hidden away, tucked inside the board while riding around, or have it down for first time riders or for trimming upwind on the lighter wind days. Having the daggerboard down maximizes stability while learning to uphaul. The board features a full EVA deck. Added foam thickness in the nose area keeps the board safe from potential boom front and mast hits. A harder and denser EVA around the whole perimeter of the board helps keeping the rails looking like new after a full season. 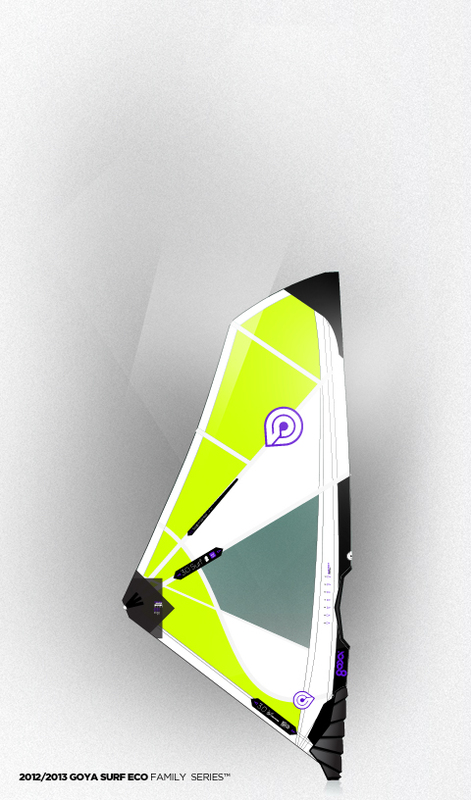 The 2014 Goya Surf is a perfect windsurf sail for all those taking beginners windsurfing lessons. With full dacron panels, reinforced perimeter, integrated mast pad, and indestructible Ever Clear window, it is a sail that will last for years. 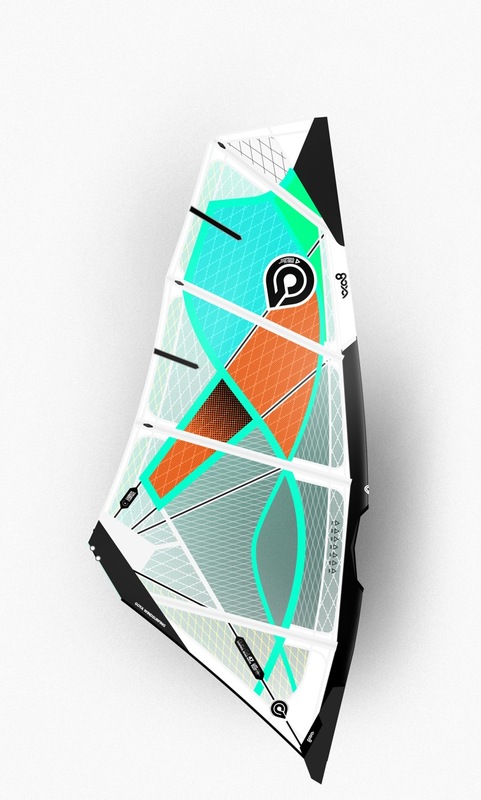 Lightweight and durable make for easy windsurfing for those learning to windsurf. A full head batten and a short leech batten provide stability in both light and strong winds. Adjustable head webbing allows compatibility with any RDM mast, which are used exclusively throughout the Poole Windsurfing School. A large viewing window provides clear and durable sight through the sail. Bright colors make it safe and easy to spot on the water, and fun to look at. The Goya Surf is the perfect choice for learning to up haul and for learning the basic principals of sailing. The 2014 Goya Guru G4 is the latest version of the very popular Guru model, the Guru G4 features that effortless and comfortable handling that is the Guru legacy. A PVC window surrounded by X-ply gives the Guru G4 that sensation compared to a pure monofilm sail which tends to deliver the power more explosively. The new Guru G4 comes in a lighter 4 batten layout with smooth power delivery and great low end torque throughout all sizes, all easily neutralized. New sizes of 3.2 and 3.5 squaremetres have been added. We will be using these sails when teaching improver to advanced windsurfing lessons and will be available in our fleet of advanced windsurf hire equipment. It comes with an Ever Clear window and all scrim and x-ply construction, resulting in incredible strength and light weight, great power and unbeatable high wind control. Now with a much lighter construction weight, due to a scrim panel coverage of about 70%, resulting in a stronger and lighter feeling on the water. The new 2014 Goya Nexus comes with lavish scrim body panels and carbon stretch control tendons. This upgrades the new Nexus to embody the best materials available, delivering uncompromised freeride and freerace performance. The new Nexus is significantly lighter, stronger and faster. 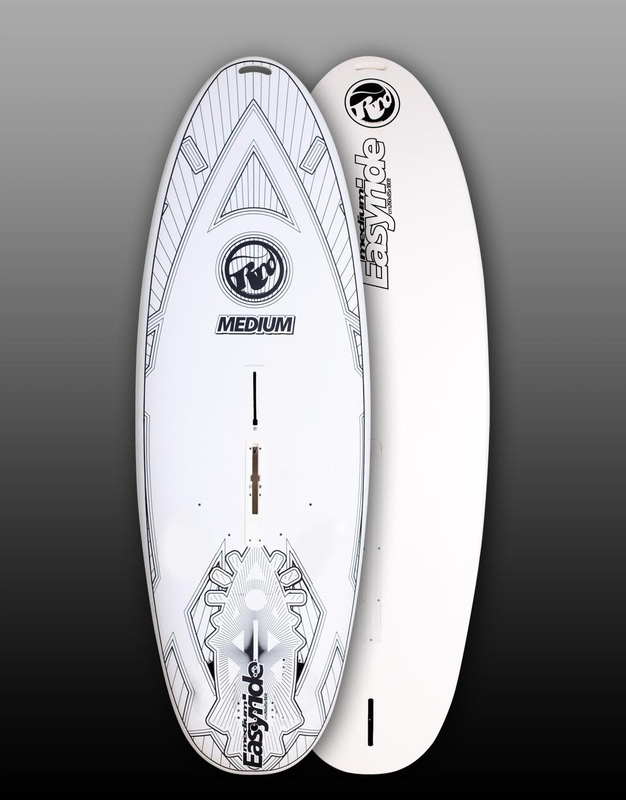 You can expect magnetic low end power, easy handling with a massive high wind range and unlimited speed potential in any flatwater to bump and jump condition. The Goya Nexus is pure performance and will be ready for your use on windsurfing courses and advanced windsurf equipment rental at the Poole Windsurfing School. While cut for power, speed and control in all sizes, the focus is on maneuverability in sizes 4.3 to 6.9 and lift and control in sizes 7.5 to 9.0. Forward and focused drive and crisp, easy handling make Goya Nexus the “go to” sail for maximum performance in bump and jump and flat water conditions. Sizes 4.3 to 6.9 come as a six batten design, while sizes 7.5 to 9.0 come with seven battens, offering maximum drive while sharing the same built and features. The RRD Easyride windsurf boards give you the right feeling of security through stability and soft touch under your feet. The short length and the wide outline allow to use a small sail to steer the board wherever you want even after 10 minutes of riding. They are a result of a long research and development process in making windsurfing easy for everyone! Technology includes EPS/HD Glass/Wood sandwich skin on stepping area with a combination of Glass fibers laminated in Single Shot moulding process. Deck covered with Softskin™. 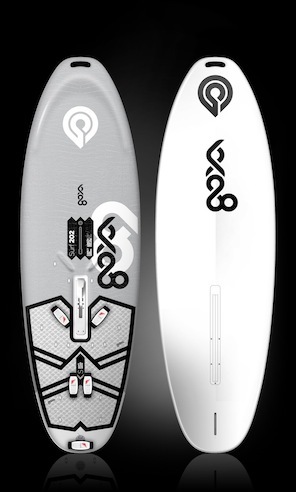 The balanced mix between floatation and performance makes the RRD 360 Evolution Duratech V3 S 145lt and RRD 360 Evolution Softskin V3 L 158lt the perfect boards to progress in your gybes and even allows you basic freestyle manoeuvres potential! 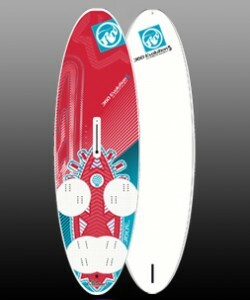 These are THE windsurf board to learn how to carve gybe on, being super easy to initiate and hold a carve on. We will be using the brand new 2014 RRD Evolution windsurf boards at Poole Windsurfing to teach students everything from faster tacks & gybes, beach starts, harness, planing, footstraps & the ultimate carve gybes. 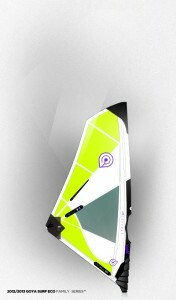 The boards will also be a part of our improver to advanced windsurf hire fleet. Technology includes EPS/ HD Glass Epoxy skin on top and bottom with a Glass crossed fibers laminated in AST moulding process. Covered by a full layer of 3 mm moulded EVA skin. These features give the wetsuits excellent performance & using them at Poole Windsurfing we are setting a new standard for other windsurfing schools to follow!